– 20 normal and NG+ levels designed by Sheeple! – 2 new play styles that totally change up the game! – 70 [BUGS] to collect and spent in an art gallery! – 2 new mini-games, a rythm & flying simulator! – A brand new boss fight that pushes your skills to the limit! – A brand new hub world, Sheeple HQ! – Loads of new cutscenes and story elements to experience and enjoy! – New secret characters and set-pieces to discover across your journey! – New music by Meganeko! – 10 new and very unique levels! – A new playstyle… Where you can’t jump at all? – Dynamic color mode where handpicked palettes are used for each world! – Saturation slider, now you can adjust saturation as well! – New custom camera slider, adjust how much it zooms in! 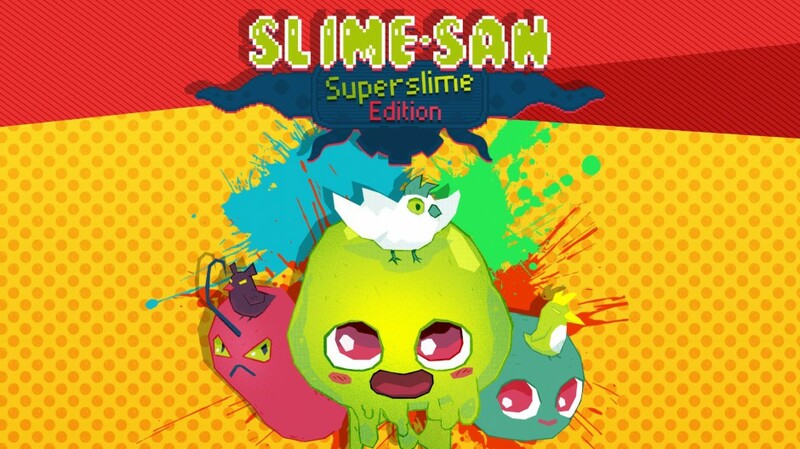 To celebrate the new patch, Slime-san is currently on sale via the eShop. You can pick up the game for 50% off.